Candidates are hereby notified that the screening exercise shall be conducted using the Computer-Based Test (CBT) platform. 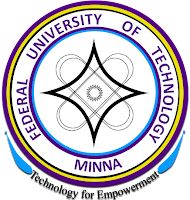 Only UTME and DE candidates who selected FUT Minna are eligible for the screening exercise. However, candidates who do not meet any of the above requirements will be allowed to change to any other course whose requirements are met by the candidates. The change of course will attract a processing fee of N1,000 only payable at the screening venue. All candidates must possess a minimum of five ‘O’ Level credits including Mathematics and English Language at not more than two sittings in subjects relevant to their proposed courses. Only ‘O’ Level result print-out(s) downloaded directly from the website(s) of the national examining bodies (WAEC/NECO/NABTEB) or photocopies of the original certificate(s) will be accepted for verification. Candidates MUST bring their ‘O’ Level results to the screening venue. Failure to do so will result in disqualification of candidates. Candidates awaiting ‘O’ Level results are not qualified for the screening exercise. Any false declaration could lead to a candidate’s disqualification at any stage of the admission process. Enter one of your names. On a page that appears, you are required to upload your recent coloured passport photograph in JPG format (Width 150 px, Height 170 px). Choose another course from the list of departments if your UTME/’O’ level subject combinations do not meet the minimum requirements for the course registered with JAMB. The system automatically detects if you have the required UTME subject combination and the minimum score for the programme selected. Status of ‘O’ Level results (click on the appropriate box). Click on ‘Proceed to payment gateway’. Click on the payment link button to proceed to payment gateway. Payment is done through Debit Card (MasterCard - Most preferred) or Verve (only the ones enabled for online payment) or Bank branch (by generating RRR from application portal). This automatically debits N2,250.00 only (the N250 is service charge for the Interswitch platform). If payment is successful, the screen will display all the data you previously entered. All eligible candidates are required to come on the date indicated on their scheduling slips. A printout of the 2018/2019 UTME or DE result slip bearing the candidate’s passport photograph (the Passport should not be affixed). The title of the course/programme of choice should be boldly written by the candidate on top of the result slip. The printed 2018/2019 University Pre-Admission Screening Exercise (UPASE) scheduling slip. A writing material (Biro or Pencil). A simple scientific calculator (non-programmable) without cover. No candidate will be allowed to participate in the screening exercise without complying with the above requirements. The Main Campus at Gidan Kwano along Minna-Bida road is about 20 km away from the Bosso Campus of the University, which is inside Minna town. Candidates without personal vehicles may board commercial buses at the rate of N80 to N100 at the Bosso Campus of the University. Candidates are not allowed to bring GSM handsets or similar electronic gadgets into the screening hall. Such item(s) will be seized and will not be returned to the owners. Impersonation is a serious offence and anyone caught impersonating will be handed over to the law enforcement agents. Any registered candidate who fails to report for the screening exercise on the date and time specified on the print-out automatically loses his or her chance of being screened for admission. Candidates are advised to arrive at the Suleiman Kumo Convocation Square at the Main Campus, Gidan Kwano on the scheduled dates for the screening exercise at least one hour prior to the scheduled time on their slips. All enquiries should be directed to the following: infoupase@futminna.edu.ng or call 08168189680 and 08028949142. 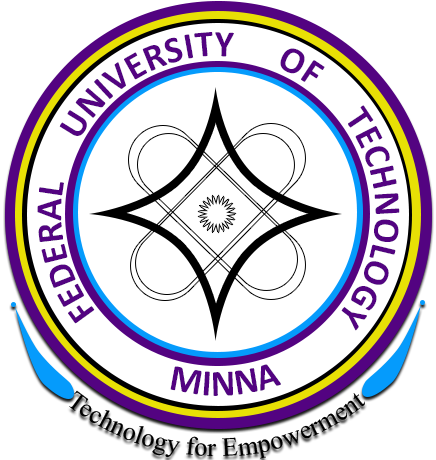 FCFMT Post UTME/ND Full Time Form is Out - Procedures, Cut Off Mark, Price and Closing Date.